Even though it may be good for me, I don’t like drinking a brown smoothie. Eww. So, I rarely mix my greens with red, purple, or blue fruit. That means no blueberries, strawberries, raspberries, cranberries, or red grapes are allowed to mingle with my greens. 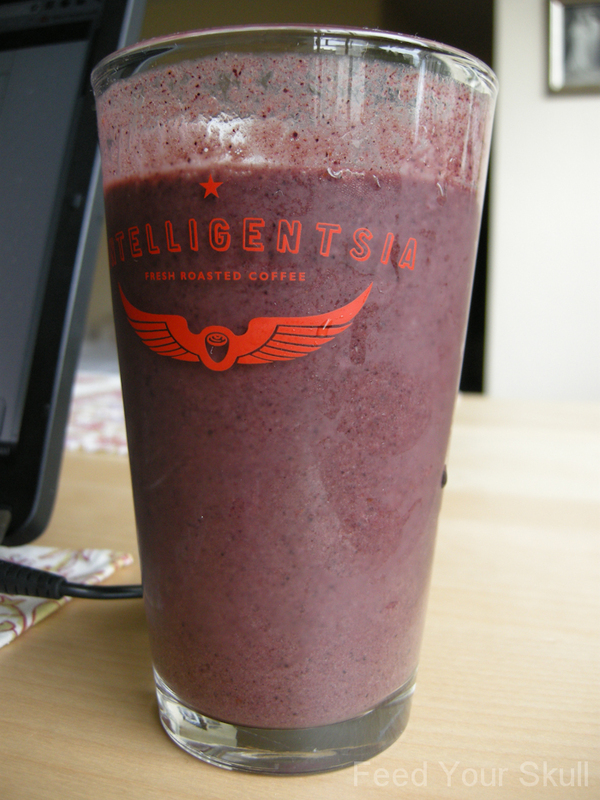 I enjoy them as fruit smoothies but not that often because I like getting my greens on or in, much better. Today was different. So I said, “F-it!” I’m going to make my green smoothie with these blueberries. I must have done just the right amount of green because the color ended up beautiful – as in mauve. 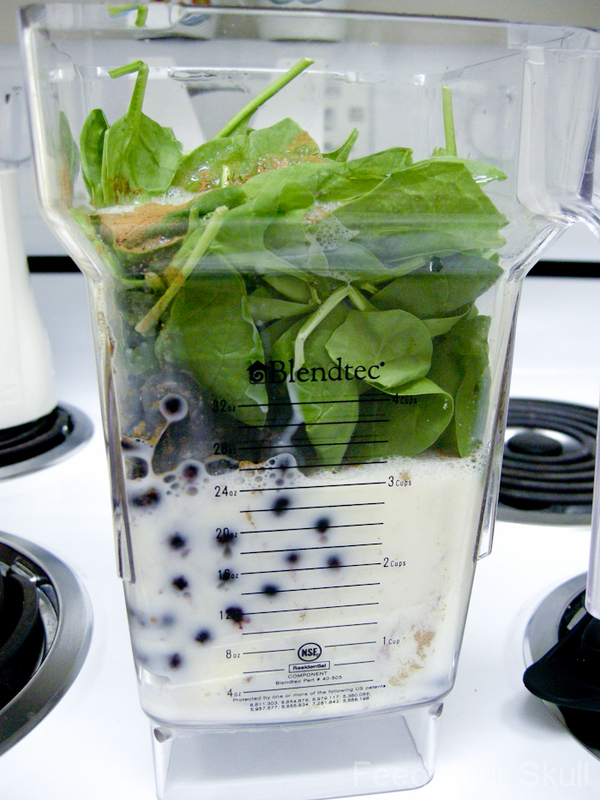 Place ingredients in a blender. Blend baby blend - until super smooth. I filled up my 32 oz blendtec container and pressed '4' or the 'whole juice' setting. I use this setting for all of my smoothies. Do you mind brown smoothies? What’s in your favorite smoothie? My favorite smoothie has celery, mango, lemon, apple, cilantro and Italian flat leaf parsley. Thanks for the good smoothie ideas. Now, in 2018|19, we are in climate crisis, thus the sustainability of the agriculture that brings us our plant food is also something we need to consider in choosing our foods. Almond milk is one such example. How sustainable for the soil are almond farms? How far did your food drive to reach you? This is easy in Portland, but many places do not have developed such good farmer’s markets; work needs to be done to help agriculture to transition from big cash grain crops to smaller organic mixed farms with lots of fruits and vegetables. smoothies bypassthe pre-digestion of chewing and saliva, thus more food is needed in a smoothie than if eating whole foods. This is less sustainable then, than eating whole foods.